I’m currently enjoying the nylon belt. In current rotation I have a couple: a navy one by Hobo and a camel one by Meanswhile. More than the nylon itself, I’m appreciating the ‘clunk-click’ fastening; somewhere between a seatbelt and climbing equipment. 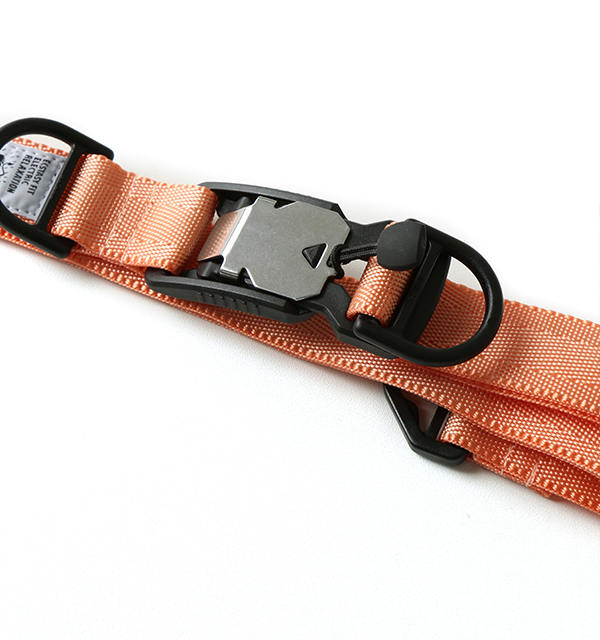 The Meanswhile belt also features a magnetic clasp, resulting in a satisfying snap and the feeling that your belt’s actually compelled to fasten. 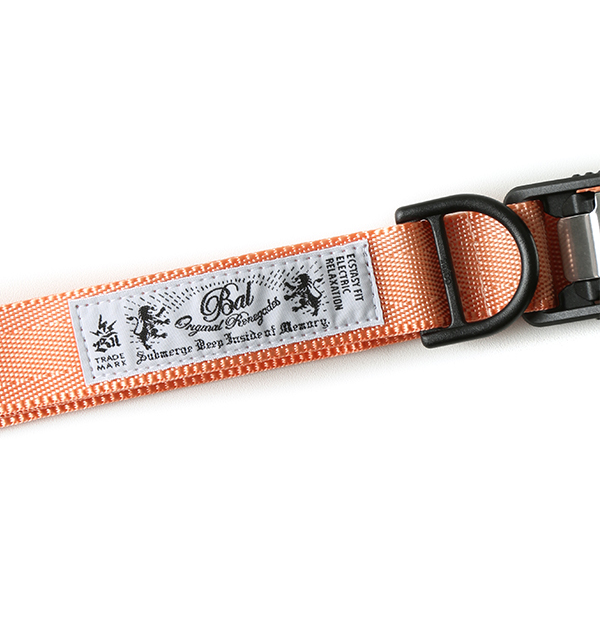 This belt is by Japanese brand Bal and it appears to share the same hardware as Meanswhile – both from German fastenings experts Fidlock. 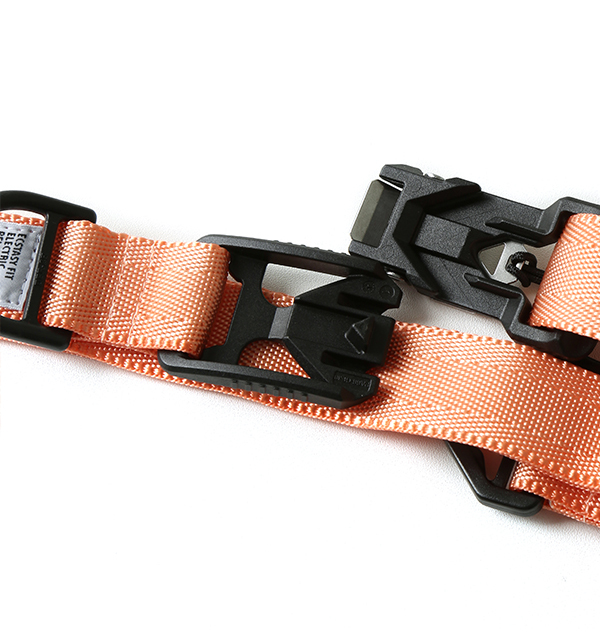 Bal is pretty under the radar in the UK, but this salmon coloured belt makes a compelling case to check them out. I’m not usually one for badges and logos. But Bal’s appears to boast the mantra: “Ecstasy fit, electric relaxation”, which is so agreeably lunatic as to deserve a pass. You can grab this belt from Korea’s Sculp Store (I’ve ordered from them in the past and the service is quick and easy) and if salmon and if not your vibe, there are versions in black and olive. I like the juxtaposition of this kind of techno-activewear style belt with a neatish trouser. Course, they work with jeans too, but for me, the contrast between smart and sporty is the key. Nothing new about that of course – Prada have been exploring this terrain for decades – just feels a bit fresher than yet another elasticated Anderson’s. One thing you’ll find with these belts is that they’re frequently long. Like, long long. Even a gentleman with a generous gut may be left with a hanging tail of superfluous nylon. Your options are double-loop it round your waist, or, as I tend to do, let a modest length dangle. I’m not entirely sure how good it looks. But I’ve been wearing these belts so frequently, I’m starting to feel underdressed without a swinging nylon umbilical cord.